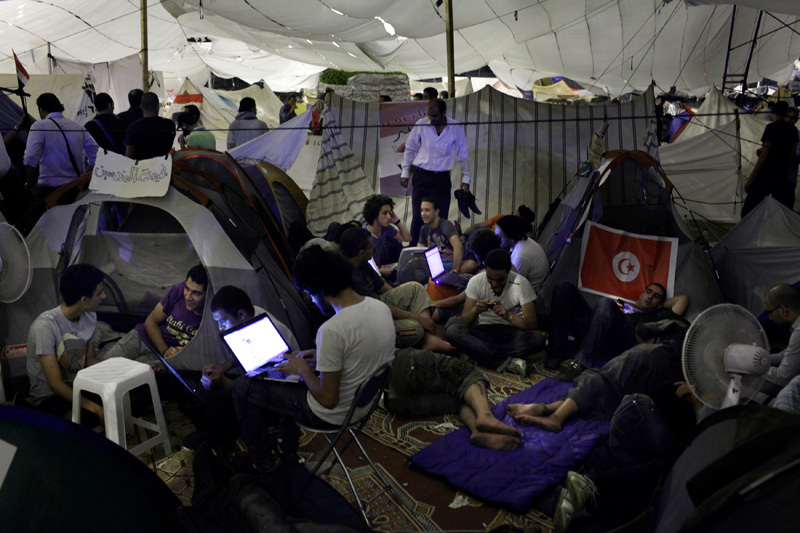 Egyptian protesters during the early morning of a sit-in occupying Tahrir Square in Cairo, Egypt July 13, 2011. The flag on the right is a Tunisian flag, hung in solidarity with the first successful revolution in the region, which started the domino effect of uprisings in the region. Protesters re-occupied Tahrir Square on July 8, to protest the slow pace of change since the revolution, and also to demand justice for those killed.